This year has flown by so fast and I'm really happy that even with such a small amount of books I read, there were some really great books that I can't wait to ramble about. Last year's End of the Year Survey was such a fun thing to do, so I couldn't possibly pass it up this year. Thanks to Jamie @ Perpetual Page Turner who hosts this annual event. I can't wait to see your surveys or end of the year posts if you'r not doing the survey. Link me up and let me know how your reading year was. Without further ado, here's the summary of my reading year. When Thora unknowingly walks into the crosshairs of Nikolai’s after-show, her audition process begins way too soon. Unprofessional. That’s what Nik calls their “non-existent” relationship. It’s not like Thora can avoid him. For one, they may be partners in the future--acrobatic partners, that is. But getting closer to Nik means diving deeper into sin city and into his dizzying world. Oh, the two wizards that are Krista and Becca Ritchie! Their books have moved and touched the deepest parts of my soul and I will forever hold them dear and close to my heart. 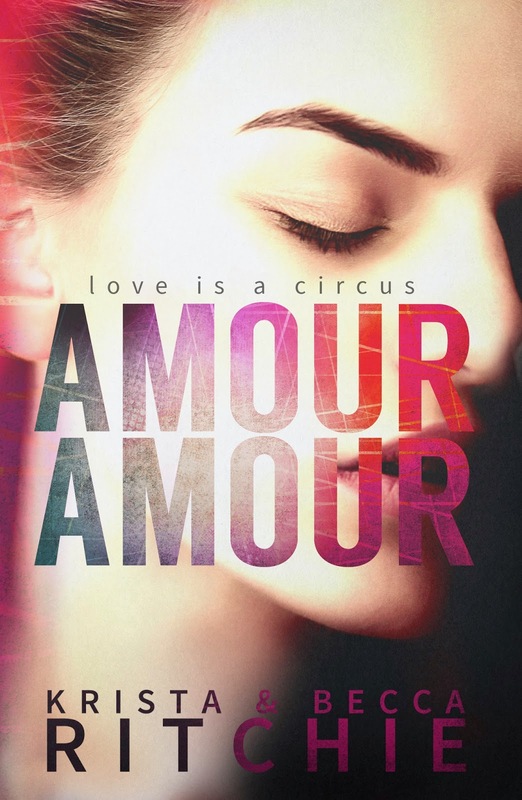 After finishing their first stand-alone novel, I can tell you that I found Amour Amour to be exciting, and the circus setting most definitely added to the otherwise fun, humorous and sensuous story. Hello, you gorgeous souls! Today is such an exciting day, because to be honest, I really didn't know what to do for today's post, but after thinking about it, I offered one of my favorite topics to Krista and Becca: sweets! And yay, they agreed to this silly idea of the characters being described as sweets to give us hints about their personalities. I'm keeping this intro fairly short since you probably all want to get to know these characters a little better, seeing as we know next to nothing about them, but if you don't know what this tour is about, then here's the short verison of it: Krista and Becca have a new book coming out this Friday—a standalone New Adult novel Amour Amour that takes place in a circus and, knowing them, is more than likely to make you feel all the feels. Anyway, read more about it below and don't forget to enter the giveaway at the end of the post :) Good luck!